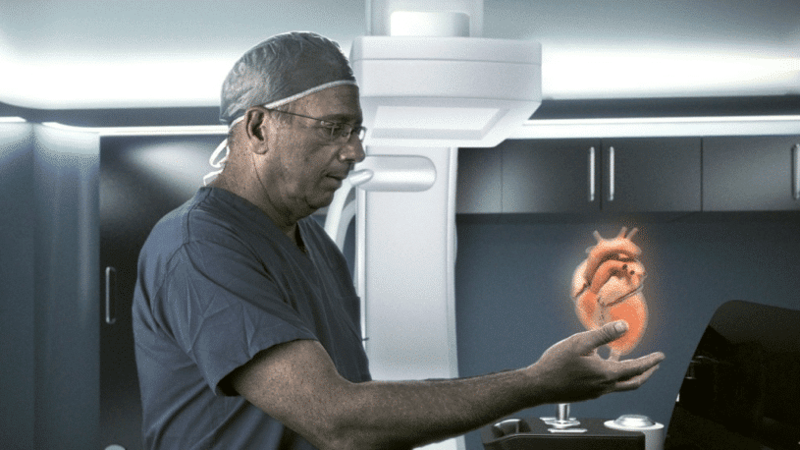 Israeli startup RealView Imaging is using 3D holographic imaging to revolutionise medical training. By beaming projections of light from sources such as ultrasounds, Shaul Gelman and his team are constructing hyperrealistic images in ‘space’. Working accurately to print light in 3D images removes limitations of cumbersome user interface tools such as a mouse – and is the first example of such precise interaction with floating images. This cost-effective solution to expensive practical training allows medics to gain a deeper understanding of the human body while avoiding risks in the operating theatre – performing holographic heart surgery, interacting with a growing foetus in obstetrics and operating on complex arteries. Following the completion of clinical trials, medical holography is on track to enter the market by early 2016. It may once have seemed the stuff of science fiction, but holographic surgery is only a heartbeat away from becoming reality. Tags: 3D printing, Augmented Reality, Holograms, Medicine, Virtual Reality.